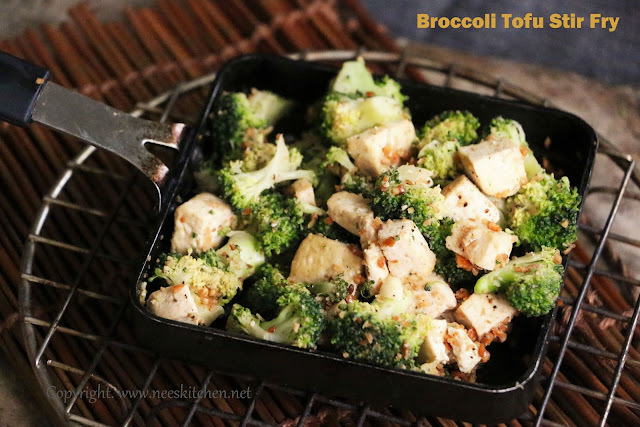 Broccoli and Tofu is a very good combination in terms of taste and health benefits. 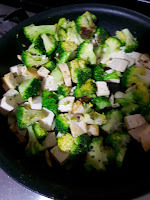 This post is about a simple Broccoli Tofu Stir fry which is crunchy & light but extremely healthy. 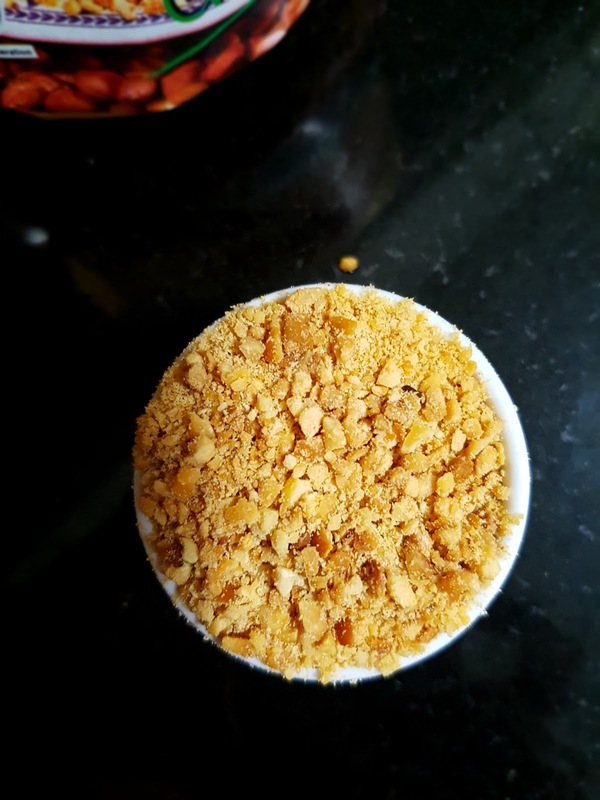 This recipe is ideal for all age groups. I have started to cook broccoli and tofu only after coming to Singapore. 10 years back both were not that common in India. Now it is common in India too. 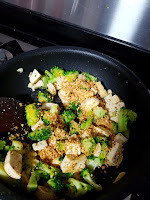 This is my first recipe with Tofu and since many of them are asking for Tofu recipes, I shall be posting them at regular frequency from now on. 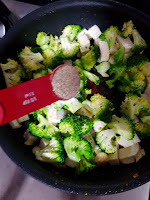 Broccoli has low content of carbohydrates, protein, fat, and dietary fiber. Tofu on the other hand is high in protein. For this recipe choose “Firm Tofu” as we are going to make a crunchy veggie today. 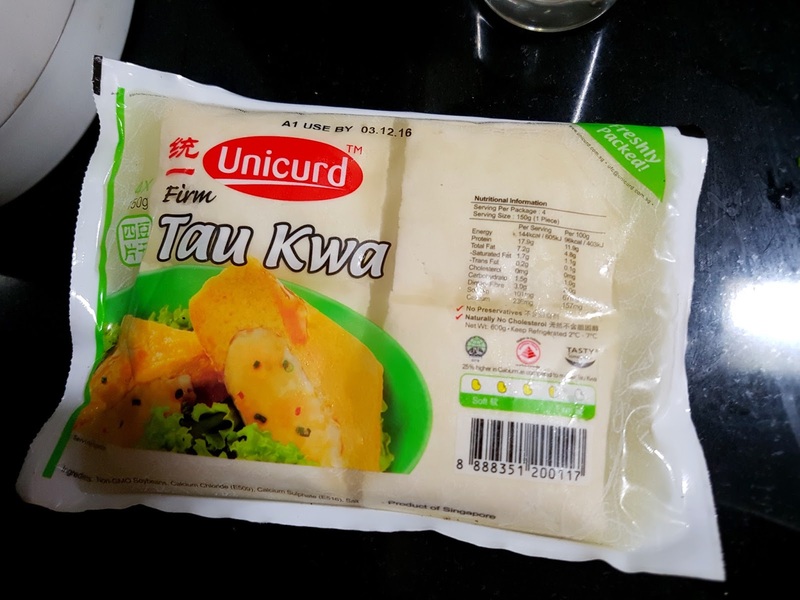 The tofu pack would mention the variety of tofu. 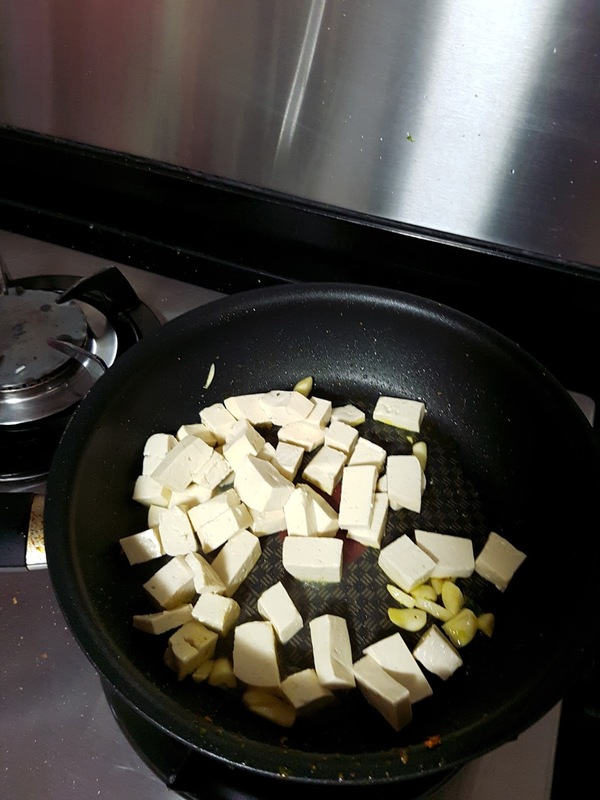 Tofu would come in blocks or big cubes. It will be immersed in water inside the packed. 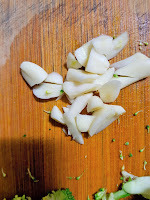 Hence before using, just press them with palms and squeeze the water. At the same time if you only going use ½ of the packet then the remaining must be preserved in water. I will always transfer the remaining blocks into a box filled up with water. For more detailed steps, I generally follow this link which is quite useful for beginners. 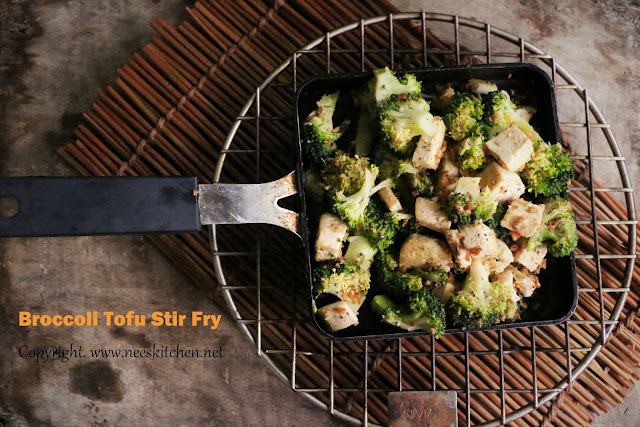 Coming back to the dish, this is a crunchy stir fry hence it must be served immediately. If you are fine to forego the crunchiness you may serve it at a later stage. Either ways it tastes good. 1. 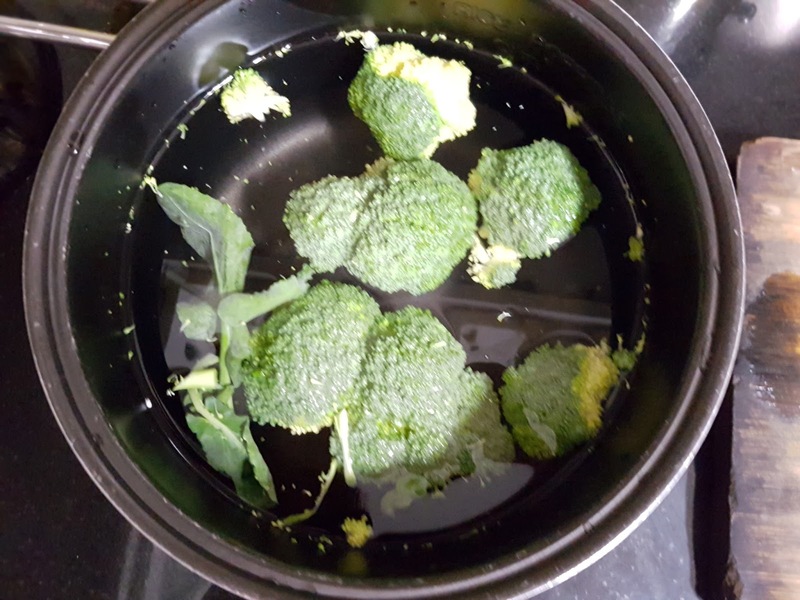 Wash and soak broccoli in water for 5 minutes. 2. Squeeze the water from the tofu. 3. 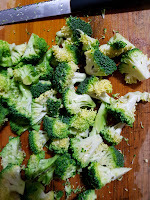 Cut broccoli as individual florets. 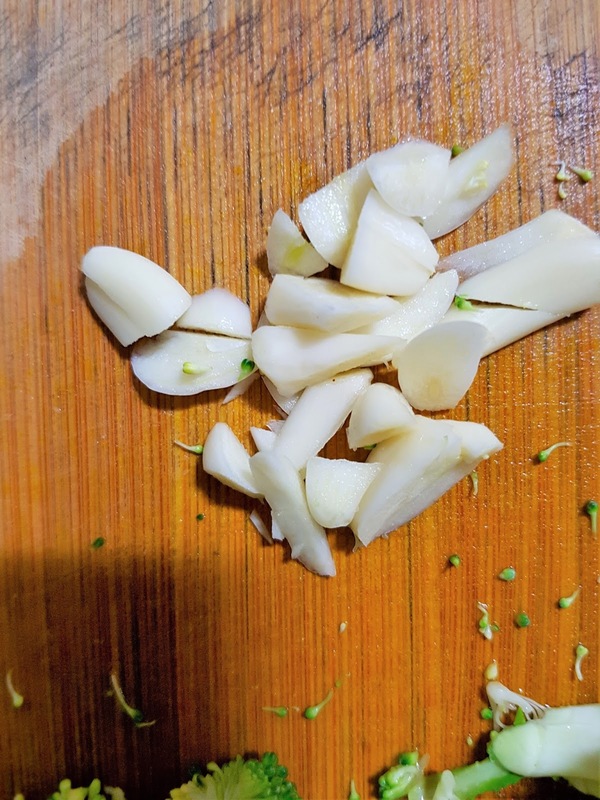 Cut Tofu as cubes and slice garlic. 4. Take a pan and add olive oil. 5. 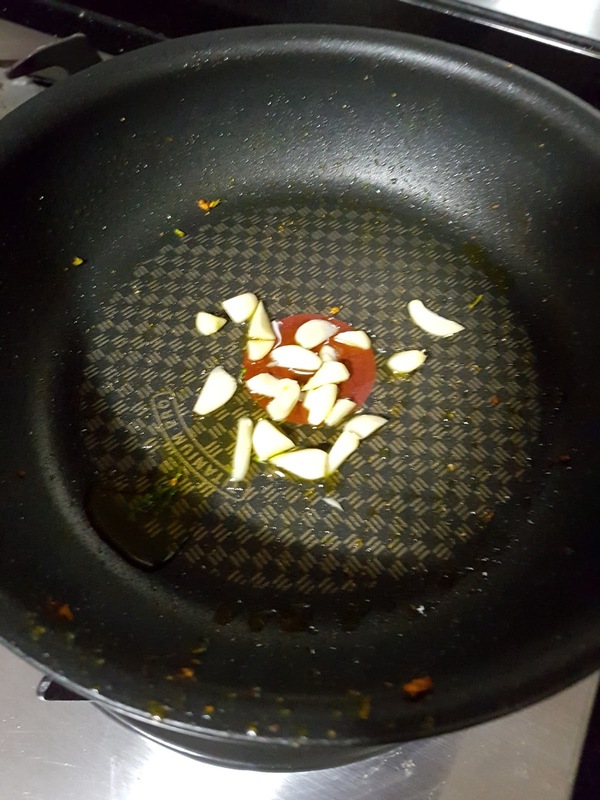 Add garlic and let it fry for a minute. 6. Add tofu and broccoli and mix well with oil. 8. Let this cook until the raw smell in the broccoli leaves and it becomes crunchy. 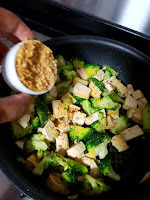 When the broccoli becomes crunchy the tofu would have cooked very well. This is the right consistency. 9. Switch off the gas and add roasted powdered peanuts. 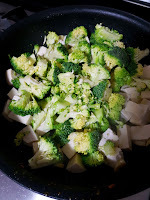 Broccoli Tofu Stir Fry is ready.